The stock market continues to soar with the Dow closing at 15,387, and the FTSE at 6803, my conclusion as of late March is that the current stage of the stocks rally underway was as a direct consequence of the Cyprus debacle that literally poured gasoline onto the stock market rally fire as for the first time Bank Depositors LOST money (stolen) and not just by a few percentage points, but in real life examples of as much as 85% of their bank balance being stolen. The rally was then further boosted to by the Japanese pouring rocket fuel onto the fire through the policy of Hyper QE Inflation. In which respect what is higher risk ? Money in the bank of which as much as 85% could be stolen or the stock market that offers a 50/50 bet on a 20% rise against a potential 20% drop. So it is no wonder that the stock market continues to be bid higher as the animal spirit continues to drive the stock market higher as bank depositors both scared of outright theft and the ongoing inflation stealth theft are belatedly starting to recognise that the stock market in comparison to putting money in the bank or into the bond bubble is low risk. The Dow is Up 16% year to date and well above its preceding long standing old time high. 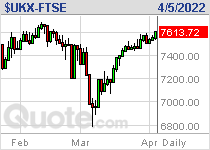 The FTSE is Up 15% year to date and within 140 points of its 13 year old pre-dot com bust old time high. b. The Cyprus bank deposits theft panic event that I wrote of in late March that resulted in a fundamental shift in investor psychology as bank deposits were now increasingly perceived as being of a similar risk to stock market investments (31 Mar 2013 - Cyprus Bank Deposit's Theft Crisis Sparks Run to Stock Market Safe Haven ). As mentioned earlier the effect of Japan's QE will be similar to that of the US in that much of the money will wash around the world being leveraged higher by X10, perhaps X20 to INFLATE ALL ASSET Prices ALL OVER THE WORLD. That and the obvious response of other governments to engage in their own further QE's in an attempt to counter Japan's competitive devaluation of the Yen which is generally termed by the media as the Currency Wars though which should more correctly be termed as Inflation Wars for that is the lasting impact of money printing. Central Banks Inflating Asset Prices. The bottom line is that the Central Banks have been inflating asset prices (stocks and bonds, supporting housing) for over FIVE YEARS! 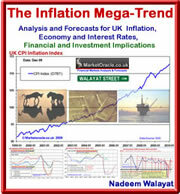 And the rate of asset price inflation is INCREASING resulting a goldilocks zone for investors as money printing inflation continues to be funneled into stocks and housing whilst economic austerity and wage freezes have proved effective in limiting slippage of the money printing flood into consumer price inflation (for the time being). For MOST of the 5 years the vast majority of so called market analysts and academics were found banging the drum of Deflation, and stating why a stock market collapse was always imminent i.e. inline with their deflation expectations. I also wrote years ago that many of these commentators would only abandon the deflation mantra towards the END of the stock price boom. Now 5 years on many of the fools can be busily found re-writing history and making proclamations of why stocks have risen (with benefit of hindsight) and why they are going to soar far higher! Which obviously is getting me worried, because Fools cannot be right! The reason why the academic economists have been blind to the impact of the series of QE's is because they failed to realise the fact that QE was meant to inflate asset prices and not the real economy, so they never saw it appear in any of the economic data they monitor which is why the likes of Roubini were consistently bearish on stocks when they were literally the buy of the decade! Gordon Gecko summed it up - Greed is right, greed works. Greed clarifies, cuts through, and captures the essence of the evolutionary spirit. Greed, in all of its forms; greed for life, for money, for love, knowledge has marked the upward surge of mankind. And greed, you mark my words, will not only save Teldar Paper, but that other malfunctioning corporation called the USA. Thank you very much. It is Greed that will drive economic recovery and not fear, and that greed will emerge from the asset markets and private corporations competing for profit. So what we see today are the fundamental drivers for future economic growth that makes all of the economic data that academics cling onto worthless! Because they do not understand what drives economic growth. It is not GDP data, nor inflation data, nor unemployment data it is Individual and corporate GREED! This is one thing the Conservative party understands far better than the Labour party, the Tory led coalition is busy stoking the fires of greed with its UK housing market policies, such as making guaranteed deposits available for people to buy properties upto a value of £600,000 as I wrote of in March - 20 Mar 2013 - George Osborne Boosts UK Subprime Housing Market Ahead of Election Boom. Against which all Labour can promise is to bribe voters with printed money to pay out as benefits as Labour seeks to turn over 90% of the population into vested interest benefits recipients, it lacks the animal spirits greed factor, that ignites the fire that drives entrepreneurs, the fire that encourages people to buy their own homes as 90% of people don't want to be stuck in a council house for life, in fact most people only seek out council houses these days for the right to buy a heavily discounted property. Understand this - the way people perceive the stock market today is how they will see the housing market in a few years time i.e. they will ask themselves "why did I not buy, when prices were cheap?" This IS your buying opportunity, miss it and you will regret it. I have already taken advantage of it. Whilst I have yet to convert my analysis into articles, but my message on housing for the whole of 2012 has been clear and consistent, I could give strong pointers why but without without depth they will just trigger questions, especially for new trends. Many times I am asked what would I do or what I am doing to illustrate actions that could be entertained in the monetization of the unfolding trends, in which respect my strategy for the duration of the stocks stealth bull market has remained simple and as I have iterated at least 50 times in stocks articles over the past 5 years and as illustrated by my most recent ebook The Stocks Stealth Bull Market Update 2013 (Free Download), and that strategy is to distribute into overbought rallies and accumulate into corrections, what this means is the stronger the Impulse rally the more I will Sell stock holdings into, and the more oversold the correction then the more I will Buy. My stocks portfolio currently stands at about 24% of total assets (courtesy of the rally) which I aim to get to under 20% this month because at its core investing in any assets boils down to risk vs reward and the risks vs reward are worse for the stock market at current levels because the market is setting itself up for a more significant correction, if I am wrong in this assumption than the only consequences is that my remaining stocks portfolio continues to rise as my primary objective remains to further invest into the emerging housing bull market that in my opinion presents far better risk vs reward than stocks because we are no longer in a stealth bull market, instead this is a mature 5 year old stocks bull market. Whereas housing in the UK (except London) and the US only recently bottomed in late 2012. The following represents my asset price allocations and targets by year end. 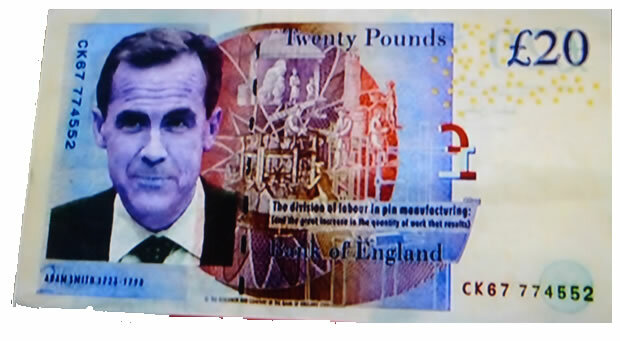 I continue to seek to expand my housing portfolio by about 20% before money printing Mark Carney takes over at the Bank of England. Scouring the local housing market, my interest is being perked by local green belt / agricultural land. My next in-depth article will be focused in the UK housing market opportunities of which there are still many so ensure you remain subscribed to my always free email to get this in your email in box. The inflation stealth theft of at least 2% per annum continues, as my last article pointed out that my future inflation expectations are for this stealth theft to rise to about 4% per annum, so a year from now we could see UK CPI Inflation rates at over 5%. I cannot invest in bonds at current bubble yields, and if you have not already utilised your annual cash ISA allowance for the current tax year then you are already too late as the banking crime syndicate as slashed rates by as much as 1/3rd over the past month. Lately Bank of England officials have been entertaining an amendment to the Inflation target to 3% or even higher, to coincide with money printing Mark Carney's arrival. So if 2% delivers an average inflation rate of 3.5%, what can we expect from a 3% Inflation target ? An average rate of 4.5%, with a trend oscillating between a rate of 7% to 2.5%, which is the probable UK inflation trajectory over the next 5 years, with real inflation averaging at 6% per annum. The stocks bull market is now over 5 years old and has gained by over 130%, that's an average of 26% per annum! There is no way we are going to see a similar performance over the next 5 years, at best my expectations are for a far more conservative average rise of just 8% per annum. I may be proven wrong on this, but the risk vs reward is just not there, the time to pile into the stock market was 2009 and 2010 as I iterated in over 100 articles and an Ebook (The Inflation Mega-trend of Jan 2010 (FREE DOWNLOAD), and not today, May 2013. Still we do remain in a stocks bull market courtesy of the Inflation Mega-trend. Correction Expectations - As a rough guide the following chart illustrates my rational view of how far I expect the Dow should fall during the next correction. I, like most readers am having to come to terms with the fact that the stock market is no longer rational, i.e. it cannot be analysed or forecast but only traded, as I illustrated with examples in the Stocks stealth Bull Market 2013 ebook (FREE DOWNLOAD). What comes to mind is the period 1986 to 1987, where for over a year the stock market left fundamentals behind. If the market plays out in such a manner then it has two possible rendezvous with destiny. 1. October 2013 - A continuing euphoric blow off could terminate the 5.5 year bull market crash this October. 2. October 2014 - This is more inline for my High and accelerating Inflation expectations for such an violent termination of the bull market. Ultimately the trigger for both events, as was the case for the 1987 top and crash will be INFLATION that pricks the bond market bubbles. 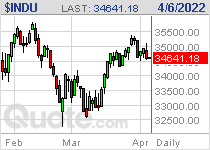 Of the above two possible crash scenario's, today I perceive 2. (Oct 2014) as being the more probable. But remember that my primary scenario is one for a correction, that well corrects the irrationality that we are observing today rather than to set the market up for an October crash. I have taken the ongoing gold and silver crash to expand my holdings of precious metals which now stand at about 3% of my portfolio (commodities are grouped with stocks). I see this as a long term investment to target a 50% gain (silver), and my preference is for bullion over stocks. The bottom line is we see asset price inflation today but tomorrow we WILL see consumer price inflation far beyond that which anyone can imagine today as a consequence of the flood of money that will wash over the wider economy. All I am doing is preparing myself for the coming consumer price Inflation by leveraging myself to asset price inflation, a year from now I expect UK CPI will be over 5% (2.4%), 2 years from now CPI at over 8% is possible and remember CPI under reports REAL inflation. Your inflation mega-trend monetizing asset price bubbles riding analyst.